News & Reviews – M2TECH srl. 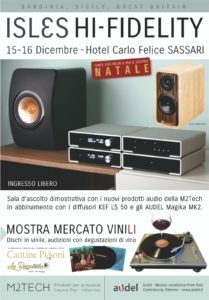 during the “Isl3s Hi-Fidelity” event at Hotel Carlo Felice on December 15th-16th. Sardinian enthusiasts (and not only them: what better opportunity to visit Sardinia in an unusual period that makes it even more suggestive?) 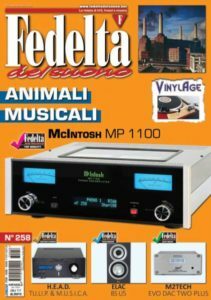 will listen to a system composed of electronic M2Tech (Young MkIII DAC/preamp, Nash phono preamplifier, two Crosby power amps in mono and Van Der Graaf MkII low noise power supply) in which Audel Magika MkIII (Sicily) and KEF LS-50 (England) speakers will be alternatively used. 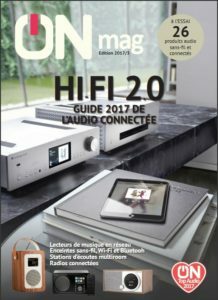 A second system will also be available with Young MkIII and prototype of the Marley MkII headphones amplifier, which will drive Audez’e and AKG headphones. All the M2Tech products from the Rockstars series will also be displayed without a lid for the eyes of visitors. You will hear music from both files and streaming (with Tidal and Qobuz) as well as excellent vinyls. Enthusiasts can also buy vinyls offered by “La Ragnatela” and taste excellent wines offered by the Pisoni Cellars. 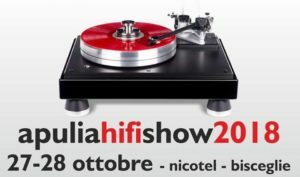 M2Tech will exhibit with her German brand Manunta, courtesy of our German distributor Higoto/Digital Highend/Audionext. A preview will be demoed, don’t miss it! 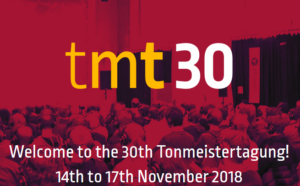 Please visit Tonmeistertagung website for details. 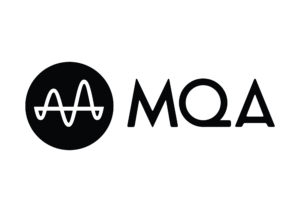 The English user manual for the Nash MC/MM Phono Preamplifier is now available for download in the Support section. It’s a good chance for users to know more about the Nash. M2Tech welcomes new distributor for India! M2Tech is glad to announce that the new shop for direct purchase is now on-line at the following link: https://lnx.m2tech.biz/shop/. 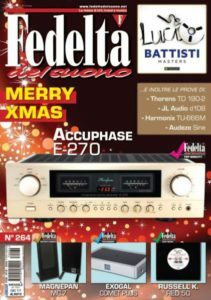 Chistmas Recommended Components list of Fedeltà del Suono. Our website visitors have already noted that a new logo is used beside the “M2Tech” brand. The new logo will be used for all new products from now on. It represents the “M2” acronym, but also the whole (the circle) and the part (the slice), to indicate that we care for the sound in its completness, at the same time being aware that every part of it is overly important. We’re sure the Young MkIII will overcome its foregoer. family. Customers from Canada Chile and Romania have now a reference when looking for M2Tech products. Contact details in the Buy page. After listening and measuring the Young MkIII, Alfredo di Pietro does the same with the Crosby. He is impressed by the small power amplifier, as its sound quality far surpasses his expectations. Read the review here. John Scott is disappointed by receiving 3 half size units sold at full price. What a nice suprise when he hook them to his speakers and an incredible, undeniably full-size sound comes out! At the end of the story, M2Tech Rockstars separates deserve the “Highly Recommended” stamp by Hi-Fi Pig. Read the full review here. Alfredo di Pietro carries out a very thorough review of the Young MkIII, both in terms of technical analisys and listening. He likes the Young MkIII very much! Read the review here. Riccardo Mozzi listens to the Young MkIII and is positively suprised by its performance. You can read the full review here. Maurizio Fave, who also reviewwd the Young DSD and the Van der Graaf in the past, now reviews the Young MkIII and the Van der Graaf MkII. His only doubt is: why should anybody want or need to spend more for a digital source? 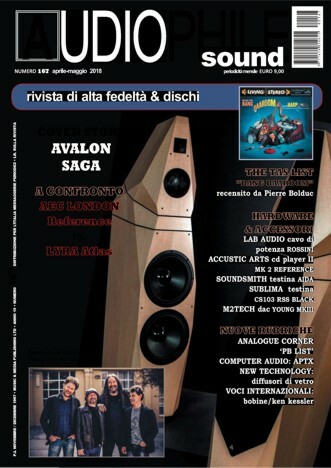 Read the review in English or in Italian. Antoni Woźniak reviews the Young MkIII and is really enthusiast about its look, its versatilty and its sound. Download the review from here. The Young MkIII and the Crosby (with Manunta brand, as sold in Germany) have been thoroughly tested by German digital audio specialists. Download the review from here. a snapshot of your truly Marco Manunta! Download the review from here. 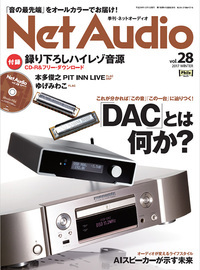 Ta-ke has reviewed the hiFace DAC here. The review is very favourable, it’s worth to read it. 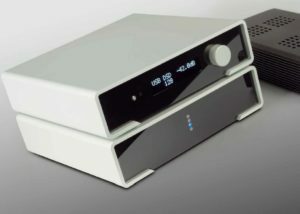 The Evo DAC Two Plus was awarded “Best Value”. Read or download the entire review. together with the Evo Supply Two and gives them 4 stars and a half.